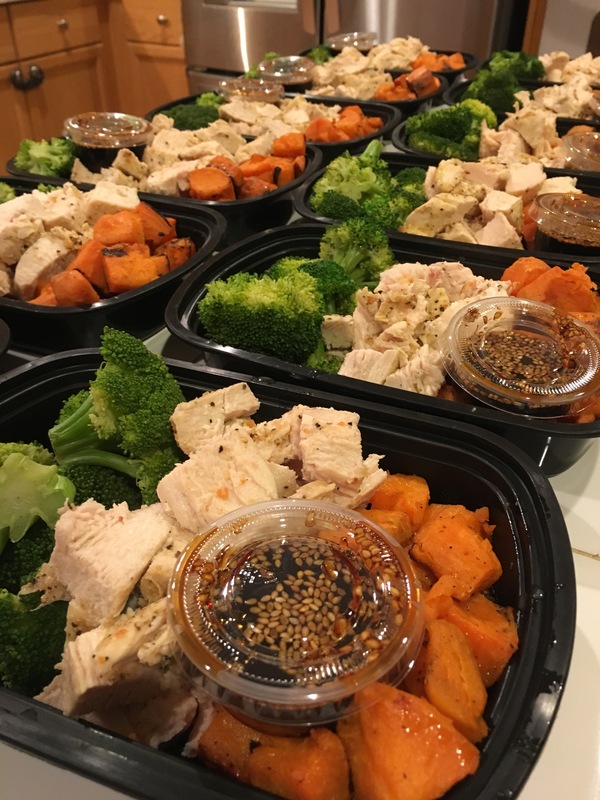 I’m a little late posting this meal prep but this is what I made at the start of Thanksgiving week. Baked Chicken Breast with Broccoli and Sweet Potatoes. What’s in the sauce cup? A Sesame Honey Soy glaze. Yum! I never thought I would be so excited to have disposable sauce cups. FYI, I purchased 100 of them off of Amazon for about $7 bucks! I know we’re entering a tough time of year to stay on track but you have to keep your goals in mind and STAY STRONG! Having cheat meals or holiday treats hear and there is ok because after all, you’re human and this is a lifestyle not a punishment, but keep moderation in mind.